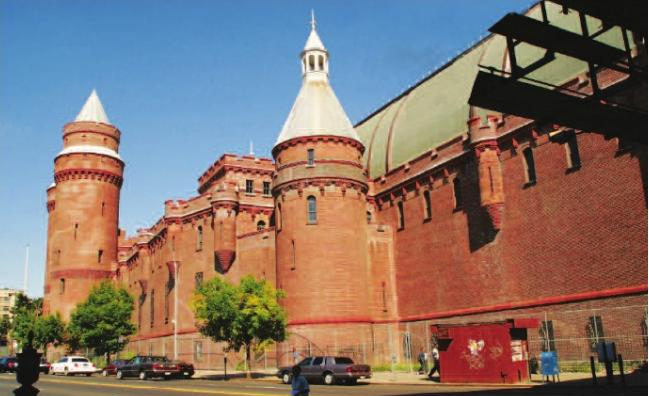 A decision is close for the future the Kingsbridge Armory in the Bronx. From a broad field that once included a film studio and a megachurch, sources say there are now just two leading bidders for the century-old landmarked building. 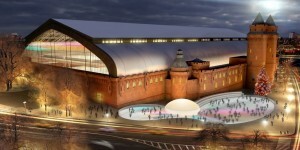 One would be the nation’s largest ice sports center, backed by former Rangers center Mark Messier and Olympic figure skating gold medalist Sarah Hughes. The other is a Latin-themed mixed-use market, with a climbing wall, a movie theater and a Crunch gym. In January, Mayor Michael Bloomberg said he hoped the 575,000-square-foot property that has been vacant for more than a decade would “soon be transformed.” The city spent $30 million to renovate the red brick structure in 2003. 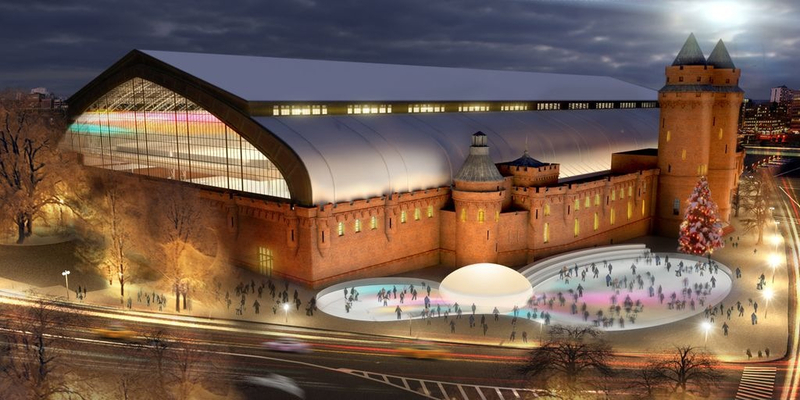 Kevin Parker, a former asset manager with Deutsche Bank, said his investors would spent $250 million to convert the site into the Kingsbridge National Ice Center, a rink that would employ 200 or more workers, all earning a living wage, according to the organizers. Parker, a longtime Rangers fan, said he realized there was a need for an ice sports center in New York when his sons became enthusiastic about hockey. KNIC organizers are emphasizing public programs aimed at local young people. Organizers are also proposing cooperation with a new school which would be operated by the Urban Assembly on a nearby site. 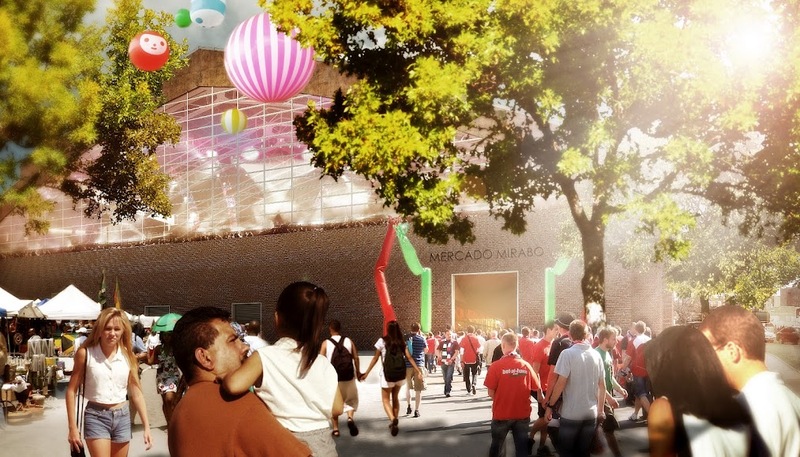 A second proposal is for a Latin-themed market called Mercado Mirabo, which takes its name from Argentine Spanish slang, meaning roughly “have a look at this.” It comes from Youngwoo & Associates, a property developer named for one of the principals, Young Woo, who is Argentinian-Korean. “It’s kind of like the town plaza or piazza that you see in European countries,” said Margarette Lee, a principal of Youngwoo & Associates. Mercado Mirabo would be run by Urban Space management, the operator of Madison Square Eats and Dekalb Market. Approximately 850 permanent jobs would be created at Mercado Mirabo, though not all would be living wage. The firm did not say how much renovations would cost, but said it would spend less than KNIC’s $250 million in order to save its tenants money. Both teams say they would require no public subsidies. Whichever bidder wins will taking a chance. 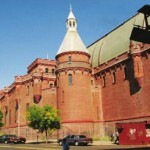 The Armory is an uncommonly large piece of real estate, with a fortress-like exterior and a vast column-free drill space. But the surrounding area is working-class and miles from Manhattan’s premium shopping districts. Whoever moves in will count nail salons, check cashers, and 99 cent stores as neighbors. Both sides have signaled their seriousness by hiring public relations companies and aggressively courting local support. The city’s Economic Development Corporation will pick a winner sometime later this summer, but the deal won’t be done until a public review process in completed, and city council signs off the agreement.